Every now and then we need to be taken out of our comfort zone,.Shook up like good cocktail and have a little in your face with someone about something. When I look back on today’s little war of words. To be honest, with all the off the grid shooting I’ve been doing over the years. I’m surprised it hasn’t happen more often. Especially with some of the chances I’ve taken of late. It was today’s little exchange however, that both caught me off guard and left me a little rattled. As we were returning from an Easter breakfast at one of our favorite upstate farms. We stopped along the side of the road to get some fresh vegetables to add to the days take. As my wife parked the car and headed towards the farm store. 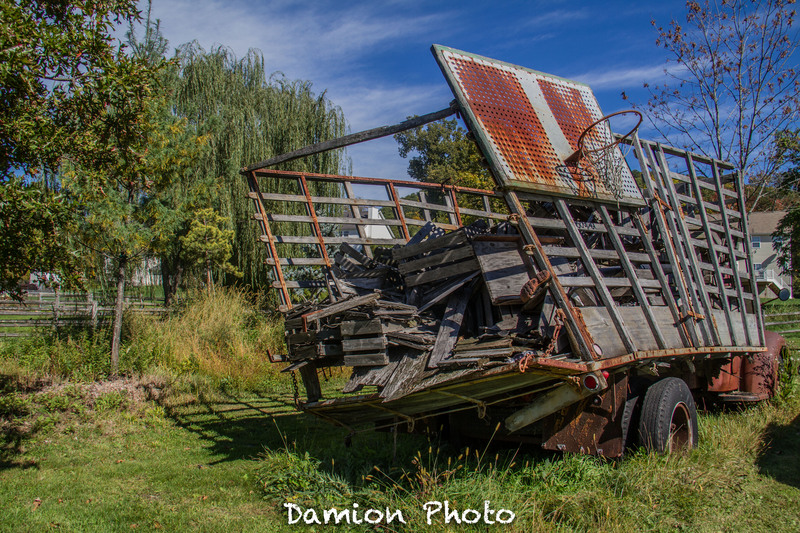 I crossed the road to get a closer glance of an old and (What I thought was abandoned barn.) As I began to cross the road I noticed two women walking towards me looking quite agitated. The younger one asked me what I was doing. I respectfully replied “I apologize If I’m on your property. It’s just that I was intrigued by that barn.” “Oh, that’s just an old broken down barn. I don’t mind if you take some pictures.” The offer seemed a bit back handed and she went on to note that the two dogs that accompanied her and what could have been her mother or the towns crypt keeper. So off I went. Moments later, that same woman was riding towards me on her bicycle armed with enough anger and spite to fire a mouthful of teeth straight into a vital organs. “This is private property! I didn’t say you could get close!” Jeezus, I thought she was going to pull out a pistol and shoot me dead. To say the very least, the exchange was so heated. I was expecting everything from a visit from the police to an updated version of leather face emerging from the barn. At the time. I didn’t feel I was in the wrong, but in retrospect. Maybe I just wore out my welcome. Lesson learned. Tread lightly, I suppose. I did manage to get a few shots without ever stepping inside. There was enough useless garbage stored inside the fuel a full season of Hoarders. For me personally, the draw is the history, stories and uniqueness that captivates my attention. These monuments to the past surely have some tales to tell. Getting closer to get a good look and to take a few pictures guarantees that years after it’s gone. It will still be remembered. I’ve always been intrigued with dusty old things. The older the better. If it’s run down, rusted or sitting abandoned in an open field somewhere. It’s character, stories and history draw me in, inviting me to explore and uncover. On our first trip to Blooming Hill Farm a few weeks ago. We immediately noticed this particular truck in distance. Driven by hunger, a little lack of balance and not being sure how to get close enough to inspect without dredging through the crops. We kept a respectful distance. On our return, my curiosity peaked and a sense of determination got me from point A to B without stomping the yard or losing my ever vanishing sense of balance. 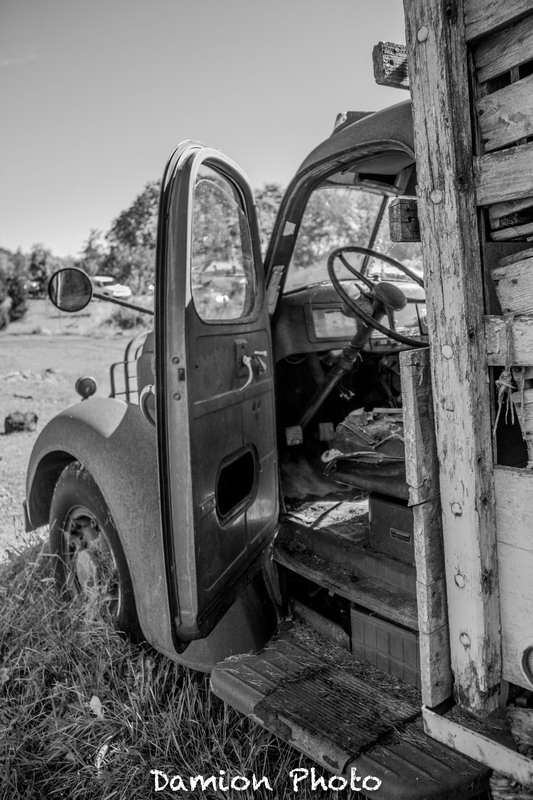 As I grew closer I began to feel the trucks rich history and purpose. It had most likely served decades hauling vegetables from the farm to markets and restaurants throughout the tristate area. 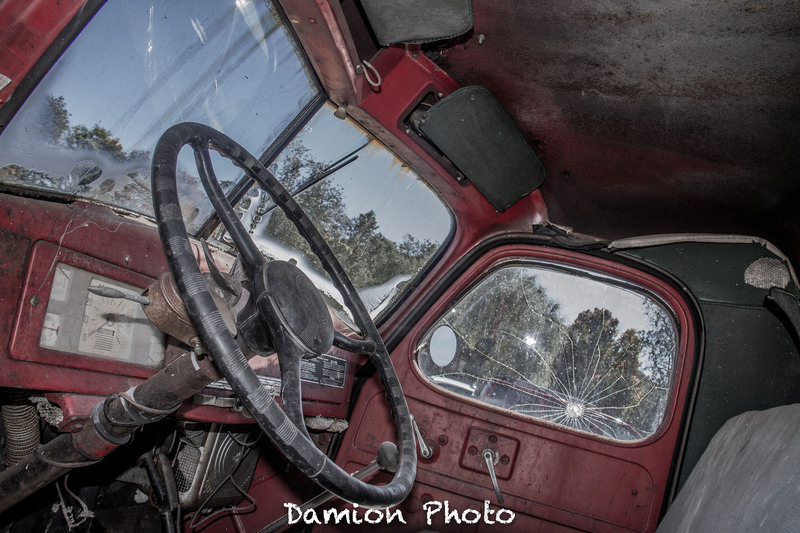 As I opened the cabins squeaky cabin door to capture the rusted steering wheel and eroded seats I imagined the many drivers who navigated that truck down dark and dusty roads on the way to the highway and it’s intended destination. And while my wife will often lurk close by wondering just what it is that draws me to things of this nature. She understands and perhaps shares that wanderlust. For as long as I can remember and most likely before them. I’ve always loved going to Flea Markets and Garage Sales. The sites and smells of the common man. The dust, dirt, heat and above all the give and “Would you take” that happens before most, if not all purchases. Getting to dig through a strangers history while often finding your own makes you realize how, with all of our differences. In the end, we are much alike. The only difference being, I haven’t saved every item I’ve ever owned. As I get older I begin to see a wider and wider gap between the sellers personal idea of an items worth and the actual worth of the item. 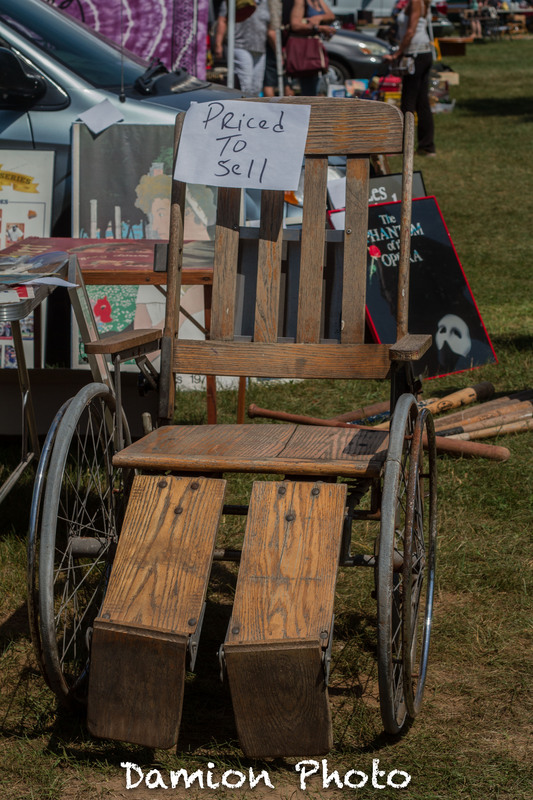 In my last two trips to Elephant Trunk’s massive flea market in Connecticut. I have come away with nothing but a sunburn and an empty gas tank. While I found the item pictured to be quite unique worth further investigation. The item I was interested in buying was so ridiculously overpriced, it made me think why did she even bother unloading her van. The rest of the vendors are packing up at the end of a long hot day and she’s asking $100 dollars for old. rusty and very empty oil can. One’s she had no luck selling and would be returning to her storage space. Ridiculous! I bought an antique Maxwell’s coffee can a few years back for $3 bucks in virtually the same spot. I’ve found more unique items sitting out on the curb elsewhere. In the near and distant future. I see myself sticking closer to home and hitting up local fleas, garage and estate sales. As for these bloated hoarder summits. I’ll pass.